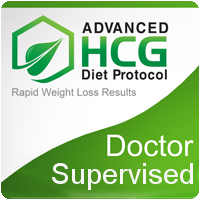 The HCG diet was created by a British endocrinologist named A.T.W. Simmeons and it is a combination of severely reducing calories, including specific foods in your food plan, and receiving HCG injections. HCG is a hormone found in women who are pregnant and its purpose is to make sure the fetus receives enough calories. When injected into a non-pregnant person, it tricks the body into thinking its fat stores need to be used because the body is being fed only minimal calories. As the fat stores are released, nutrients enter the bloodstream and the person does not feel hungry. HCG is also used in fertility treatments and has been used since the 1970s to treat obesity. It is safe for both men and women. This diet is sweeping San Miguel. 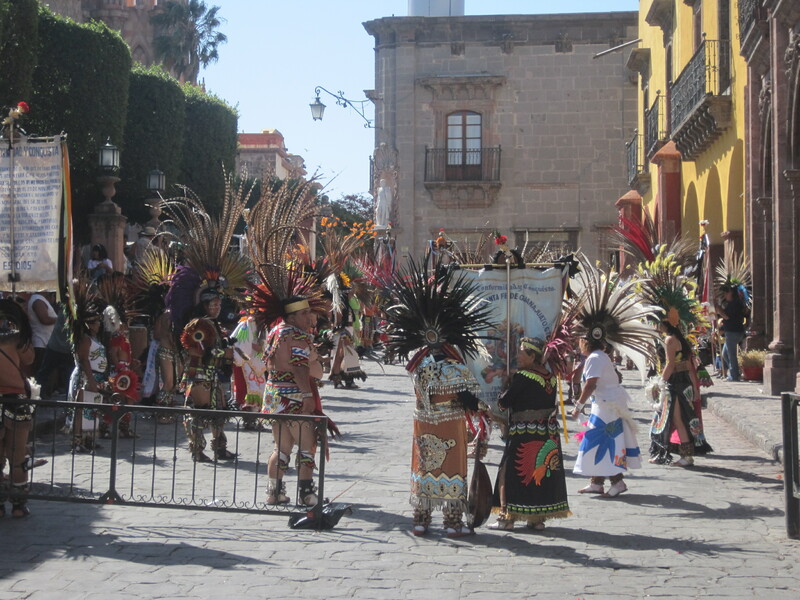 Your best friend now is a pregnant woman in San Miguel however given the age of expats in San Miguel, the chances of finding a woman who could get pregnant is rather slim but somehow it is happening. 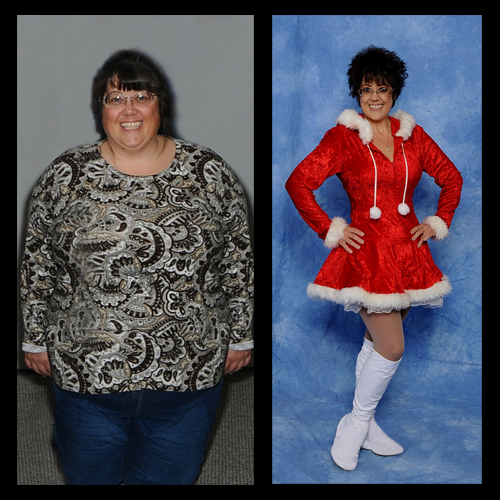 I have a fascination with weight challenged women in my blog and when I heard of this new diet I realized that soon my pool of pictures will be reduced to skinny rug wearing, straw hatted women and that is simply not that funny. Again the blog is going to wind down again all due to this Diet Craze. The San Miguel Housing Bubble has burst and the Magic can’t seem to do more than convince people it is not true. 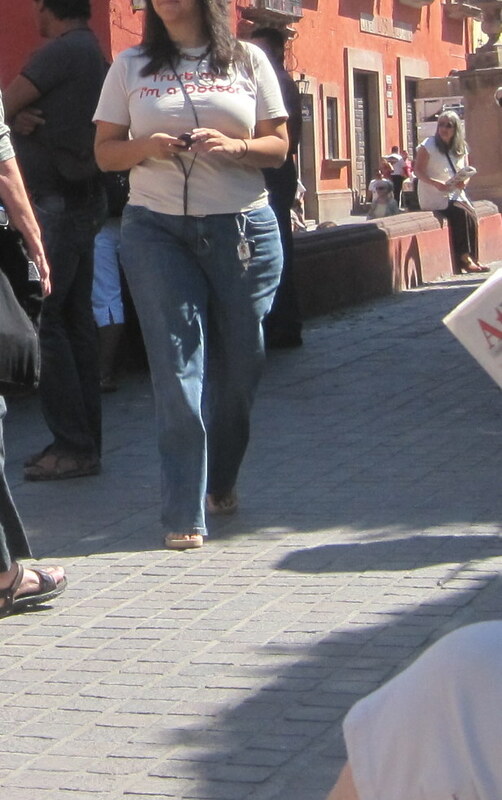 The cracks appear everywhere in San Miguel and no amount of plaster can patch a dream that is unravelling a tad. 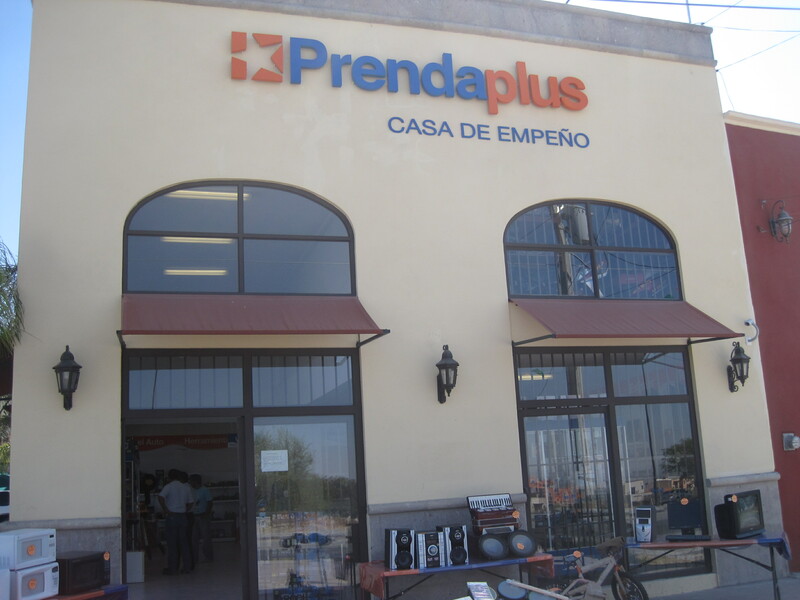 I found this Pawn Shop the other day on the Salida a Queretaro. One walk inside and you know either the dream has ended for a few. Precious electronic household items have been pawned to pay the maid or a meal at the Restaurant on Sollano. Soon the houses of San Miguel will be empty of electronics and all that will be left is the Folk Art filling up the Media Stand. A Superstore in PEI remained open while emergency responders dealt with the passing of an elderly woman in the produce aisle. Closing or evacuating the store would have been worse. While shopping at a Superstore in Charlottetown, a couple and their 11-year-old daughter came across an unexpected sight in the produce aisle: a dead body. A 92-year-old woman passed away in the produce section of the PEI grocery store on Friday night, and according to Susana Rutherford, shoppers at the store were not notified or even blocked from entering the area where the deceased woman was being looked at by police and paramedics. According to Rutherford, the store was “running like it’s normal” despite the emergency situation. According to the public relations department of Loblaw Companies Ltd., the parent company of Superstore, the staff at the grocery store followed “appropriate processes and protocol” in dealing with the situation. Panic has never helped any emergency situation, so I can understand protocol that limits alarmism to shoppers. Telling people in the Superstore that someone had passed away in the store would not just be disrespectful to the deceased woman, but would possibly also cause morbidly curious shoppers to get in the way of the work of emergency personnel who are dealing with the situation. Closing the grocery store, or trying to evacuate the shoppers from the store, would only raise the level of panic and alarm, and those two things are counter-productive during an emergency. The logistics of trying to evacuate a large store would be onerous on staff who are already trying to deal with an unforeseen situation. Closing and clearing the store would not help in this circumstance, and in that sense, Superstore was prudent to stay open and remain calm. However, it is also the responsibility of the Superstore staff to make sure that the impact of this tragic situation is controlled and limited. An appropriate course of action would be to make a quick announcement to shoppers that a medical situation was underway in a certain part of the store, and to ask everyone to stay away from that area while emergency personnel completed their work. The area should be physically closed off to shoppers while paramedics and police officers are on scene. Additionally, new customers looking to enter the store should be told by staff upon entering that they are dealing with a medical situation and asked to either return later or avoid that particular area of the store until the situation has been resolved. If, as Susana Rutherford claims, Superstore staff were slow in blocking off the area or if the messaging to shoppers about the situation was inadequate, I hope that a follow-up review by senior management will address those gaps in process and protocol. It is, however, unfair to lay blame on Superstore for having protocol that encourages level-headedness and controlled reaction in times of customer emergencies. The situation was surely a difficult one for everyone involved — staff, emergency responders, shoppers, the family of the deceased — and being angry at Superstore doesn’t make it any easier for anyone. Pointing fingers doesn’t make a difficult incident get better; learning from it does. I have always wanted my own Baby Jesus but they were so expensive to buy. 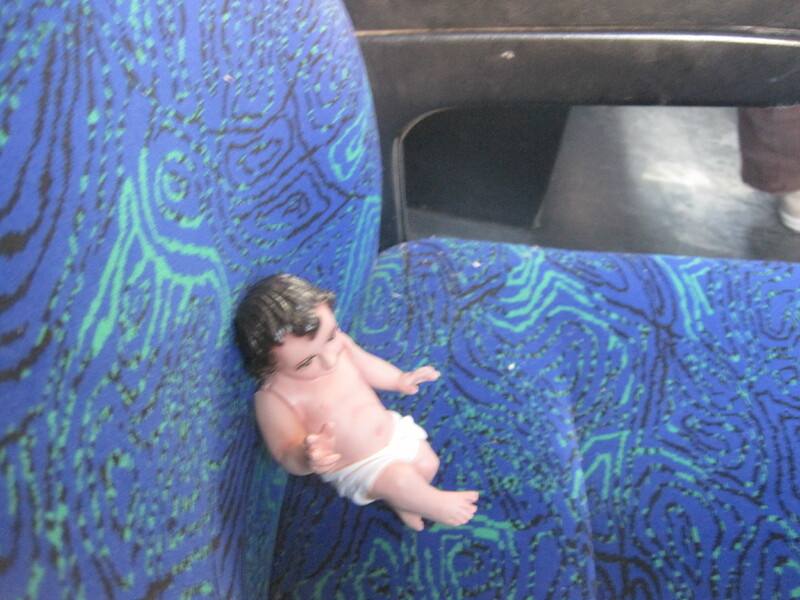 Today in Dolores Hildalgo I found a cheap plastic Baby Jesus with moveable arms. I knew I had to buy him. You might well ask why would a grown man want his own Baby Jesus. 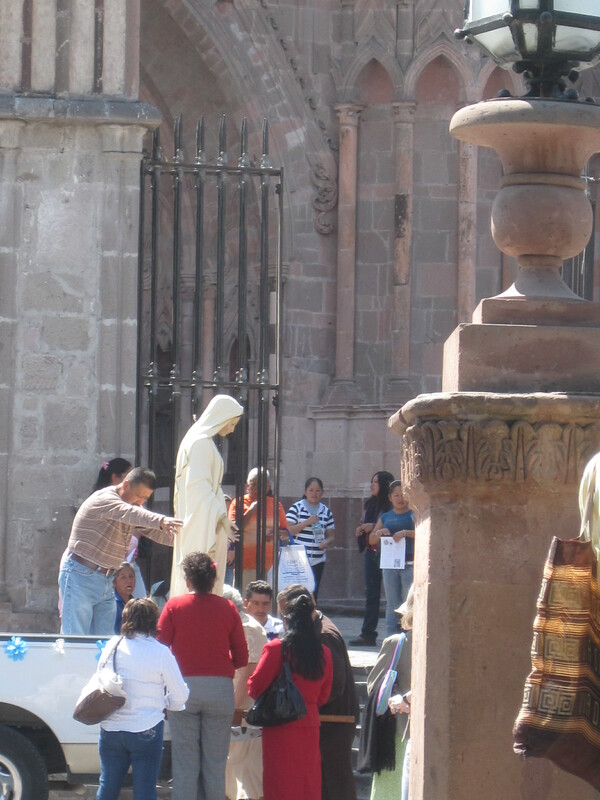 It seems that in San Miguel everyone has their own religious statue. Here people are unloading Mary I think. I grew up a Protestant. We didn’t have many statues in our church. In fact we didn’t have any. I didn’t even know, about the Virgin Mary until much later in life . To me she was one of the characters in the Navitity Scenes at Christmas but I didn’t realize how important she was in the Catholic Church. Then I learned about Saints. I knew they existed, as Quebec named everywhere after a St. or a Ste. Something but I hadn’t thought much about it. 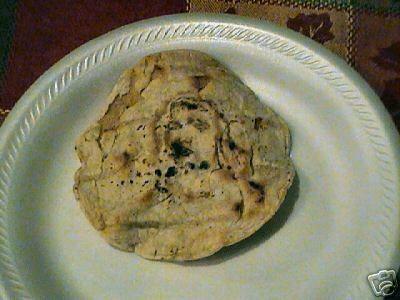 When I came to Mexico five years ago I learned about the Virgin of Guadaloupe. Then I watched all these statues of Saints being paraded about San Miguel on litters and felt very Protestant. So I had to get me my own little Statue and being a good little Protestant and knowing that there were no statues of God, I settled for the Jesus. I chose Baby Jesus because he was easy to carry around in my backpack. So be prepared for a series of posts on Walking Baby Jesus. I know I am going to Catholic Hell but hey I am a protestant well not really. I have always wondered why people wear T shirts with messages. Perhaps this explains it a bit. Political T-shirts: Politics is about your life, the future of the planet and of our children. Participate, don’t let the Tea Party, Sarah Palin, Glenn Beck and the Koch brothers poison the debate. The mainstream media has no right to have a monopoly over your mind. You may not have a media empire like Murdoch but you can still get your message across on political T-shirts. 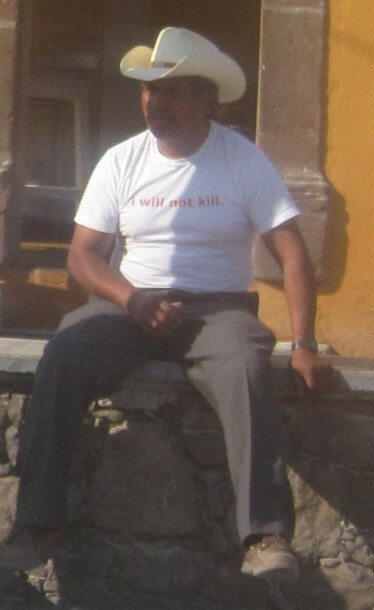 A good slogan on a t-shirt sends a powerful message to passers-by. Our t-shirt slogans are the antidote to the lies and distortions of the right-wing media. But why do people walk around with T shirts with messages like this? 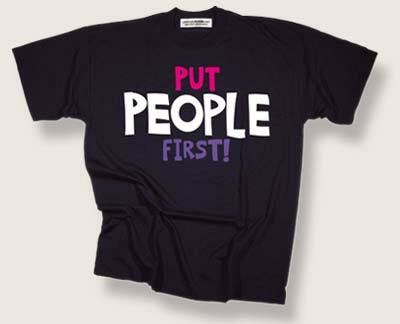 Do they actually work as the above political T shirt statement suggests? 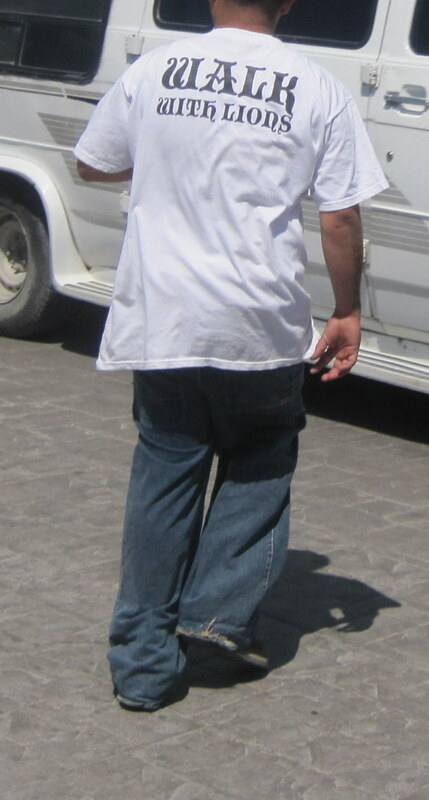 The problem is not really the T shirt but the fall-out that occurs when these T shirts make their way to Mexico and in San Miguel into the Tuesday market. For a few pesos you can buy a formerly loved T shirt and wear it around town. The problem is that you haven’t a clue what it says but Expats do. In fact they get so excited when they see English. 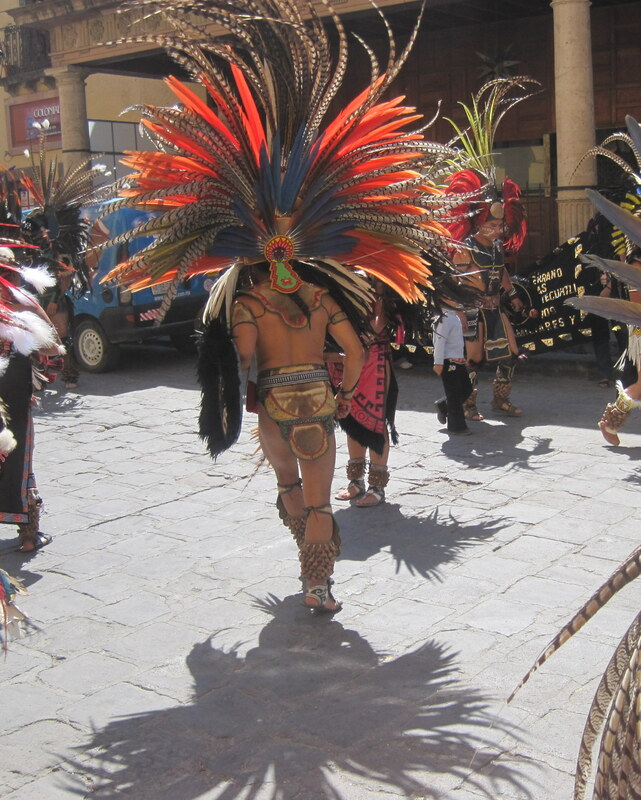 Every expat in San Miguel has a maid and usually a gardener. They work one to six days a week – cooking, cleaning, washing, ironing and tidying up. 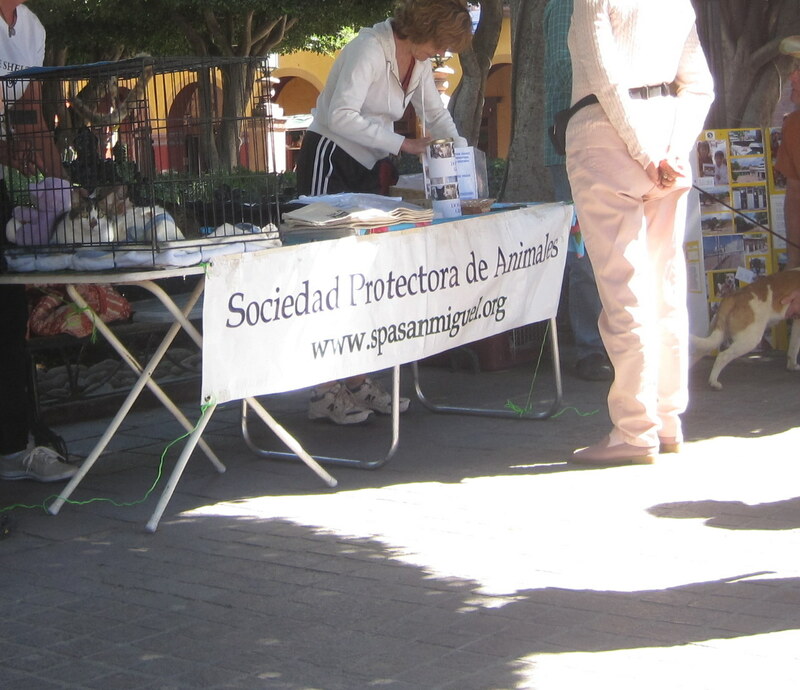 Stay in San Miguel for more than a year and all your household skills disappear and you become quite useless. 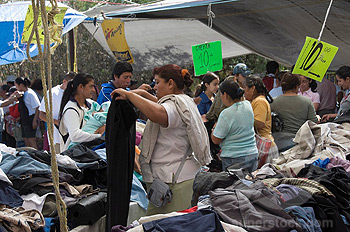 There is also a lot of unemployment and underemployment in Mexico. Couple that with the Giving Back Mentality of Expats and you end up with a win win situations. Here is a simple duster but it requires a hand and arm to use. Expats can no longer use their hands after years of being looked after. Maids and gardeners are too busy to dust sometimes and San Miguel is a desert town and very dusty. Enter the San Miguel Job Fair and their interesting spin on the old fashioned job fair. Here a group of Expats are lined up around the Jardin looking for employees. 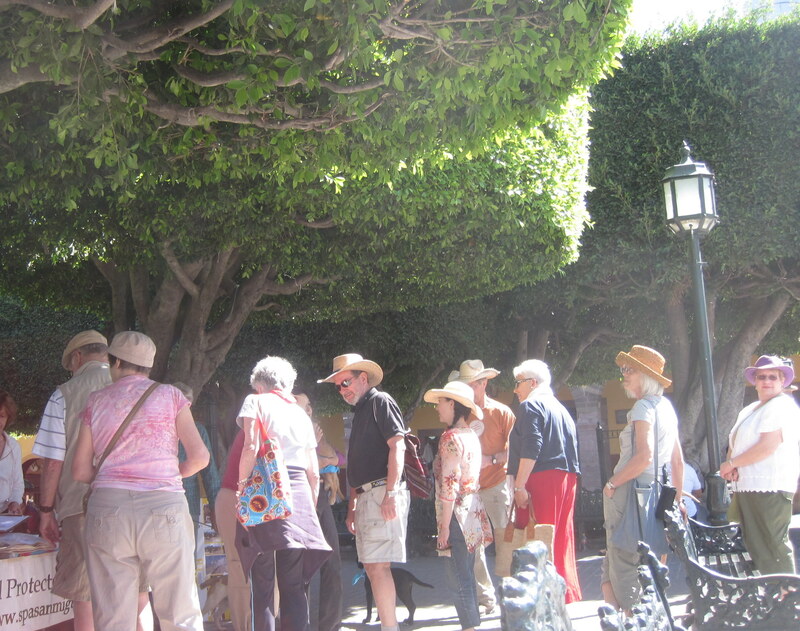 The potential employees parade their skills around the Jardin and the Expats try to find the perfect duster person for their house. Imagine the joy an expat would feel in having this full-sized duster come into their casa and move lightly around the furniture and rooms with his full-sized duster. In a matter of minutes a room is free of dust. Someone has been employed and the expat has Given Back (read spent money). 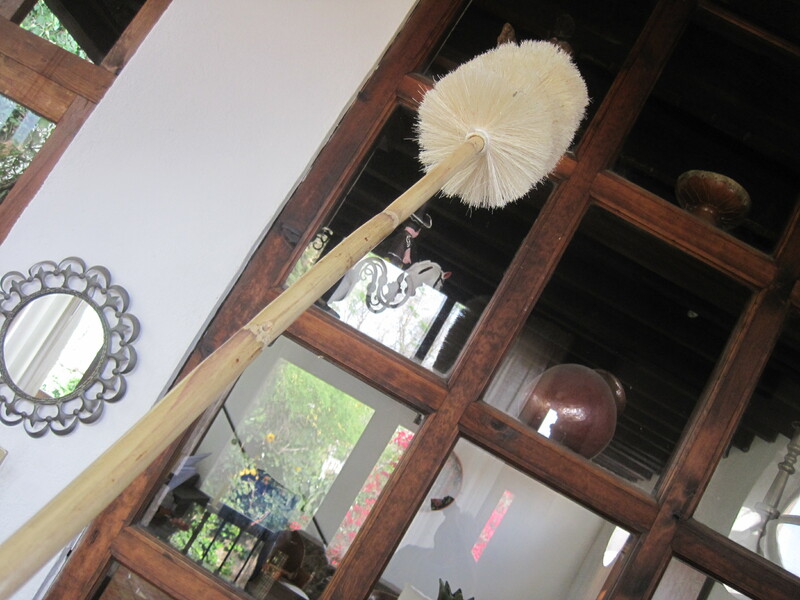 There is not just one type of duster but a full range of fully functional dusters. 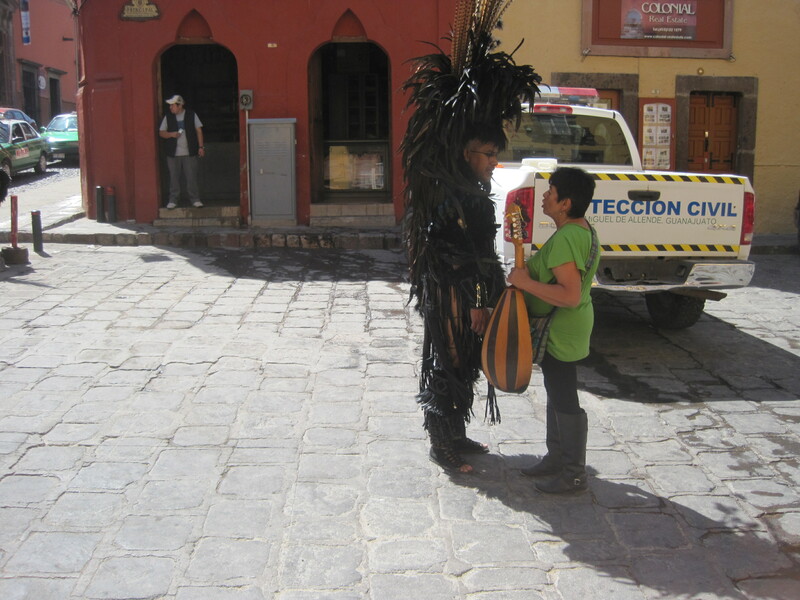 Look at all the possibilities you are given in San Miguel. If you are in a dark mood you can even get the Dark Duster to come to your house. He will remove dust and create a very melancholic mood that is just perfect for any single woman who has given up on love. San Miguel is made of Stones. 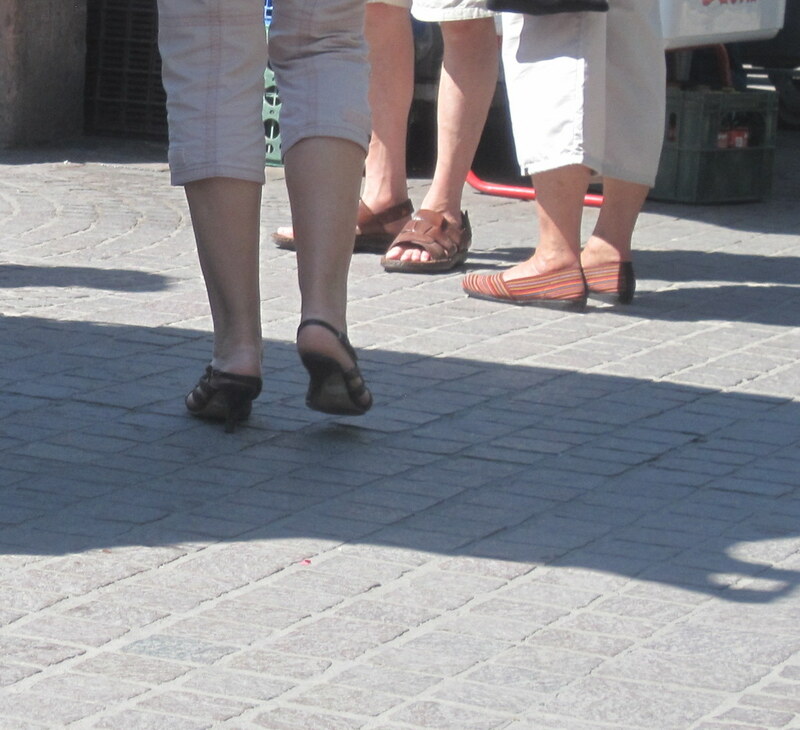 Here are three pairs of feet shod for a Day In San Miguel. One of these ladies is going to fall or is an amazing foot athlete. 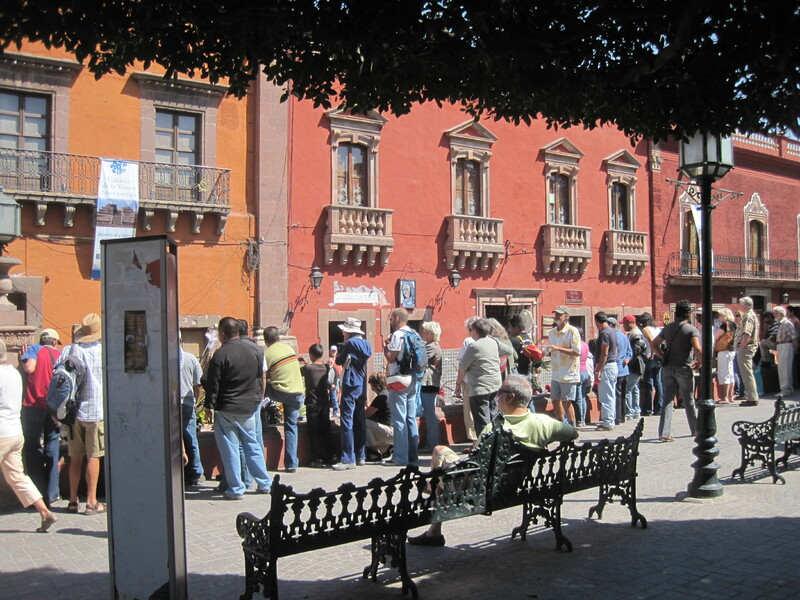 The Gangs of San Miguel are obsessed with restaurants. Everybody is a critic but that is about to change with a new restaurant that is opening in San Miguel. Over the years we have tried many ways to gather the flock. Few have worked until we decided instead of going to you, we would have you come to us. 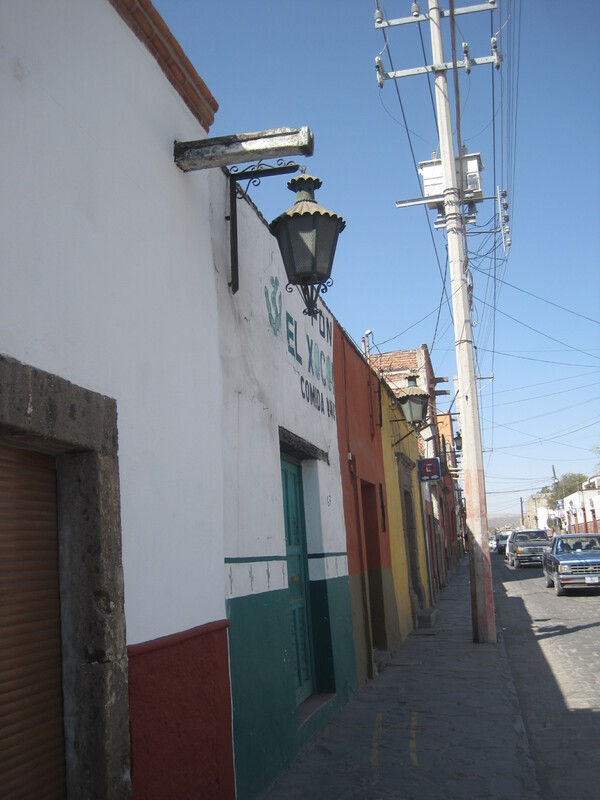 In San Miguel the idea was simple – open a restaurant in San Miguel. Everyone will come at least once so that they have something to talk about. So come and be saved. 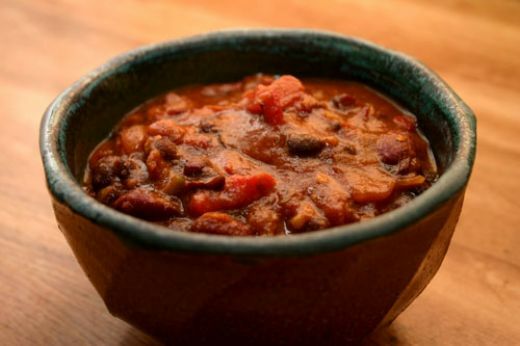 A little hamburger, a few beans, some holy chili powder and we will have you jumping for Jesus. 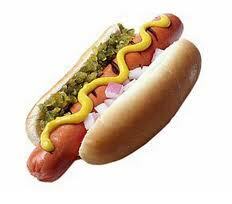 Virginity pledges are too late in San Miguel so we offer you hot dog that has never been touched by human hands. When say Soul Food, we mean it.